Rumoured to be the most expensive resort on the French Alps, this isn't strictly the truth. You can find really good deals if you know where to look, and there are really good discounts for group bookings, although you get what you pay for, so don't expect a cheap vacation. Courchevel is part of the Three Valleys resorts, and itself is divided into four distinct areas from the bottom to the top: 1300, 1550, 1650, and 1850. In general, the further up you go, the more expensive your trip is likely to be, so it is wise to consider going slightly further down, where you can still find some amazing skiing, both off piste and cross country, as well as some great downhill runs. With an astonishing 65 ski lifts across the resort, the Courchevel is an enormous skiing resort, and attracts a wide variety of tourists from across Europe, and indeed the world. The Courchevel 1300 is located right at the very bottom of the resort, and is truly beautiful in an unspoilt, picturesque sense. It is a fantastic challenge for beginners, and is ideal for those looking for some relaxation out of their skiing vacation. Alternatively, moving up, there is the 1550, which is seen as the playground of the locals. Here you can benefit from some amazing self catering deals, whilst still managing to find great skiing, so this is perhaps a good consideration for those with families. Again, moving up there is the 1650, home of the famous ski school, and a number of top quality restaurants. 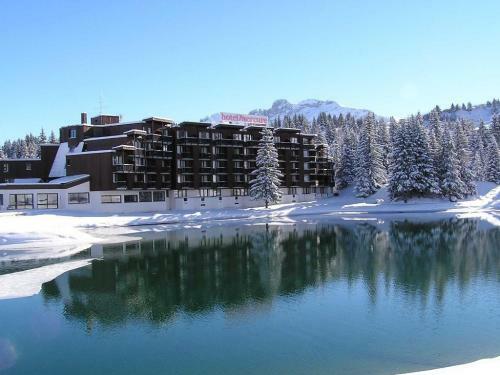 With largely chalet accommodation, this is also a great resort to choose for your French skiing vacation. Finally we have the 1850. The 1850 is home to the rich and the famous, and you're looking at an arm and a leg if you want to ski there. Although the skiing isn't that much better (unless you're looking for off-piste), there are heftier queues, and the resort isn't overly child friendly or family orientated.